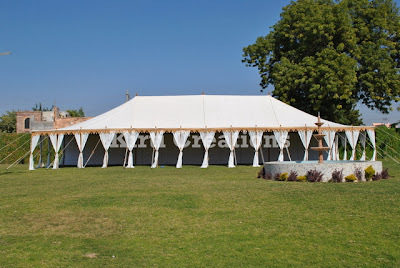 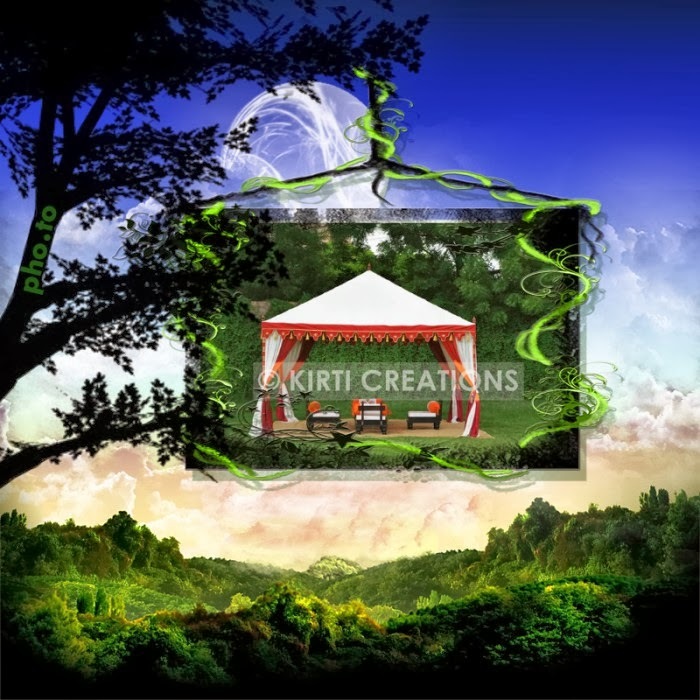 The outdoor maharaja tent is placed outside from the home arranged in a series. 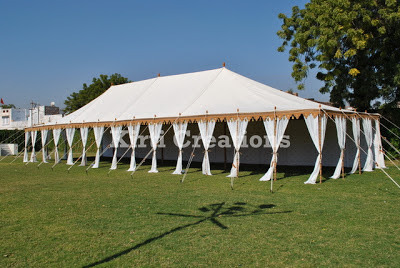 This is an outdoor tent with all sides open. 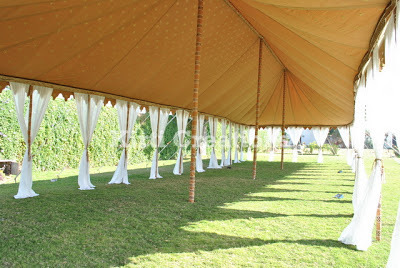 This tent is preferred for social gatherings.